GMA’s much-talked about teleserye, Victor Magtanggol, will finally air tonight. The primetime comeback of Alden Richards as Victor (also as superhero Hammerman) has recently received a lot of negative reactions from netizens—some say that it’s a rip-off of Marvel’s Thor, while others say that they don’t give justice to Norse Mythology (of which the show is based on). But despite all the criticism, the show’s director, Dominic Zapata, is confident that Victor Magtanggol is a quality project. “It’s quality work, so give it a shot,” he said in an exclusive interview with GMANetwork.com. And now that Hammerman is ready to invade your television set, we believe that—despite all the bashing—the show does deserve a chance. And helping Alden Richards prove everyone wrong are his talented leading ladies, who'll no doubt push us to brave the traffic just so we can go home and watch their adventures unfold. Here are some of the beauties that we’re talking about and can’t wait to see on the screen starting tonight. FHM cover girl Andrea Torres plays the role of Sif. She is the goddess of love, and will help Victor on his journey as Hammerman. Janine plays the role of a reporter named Gwen Regalado. Despite being friends with Victor, Gwen has no idea that Victor and Hammerman are the same person. She is Hammerman's main love interest. 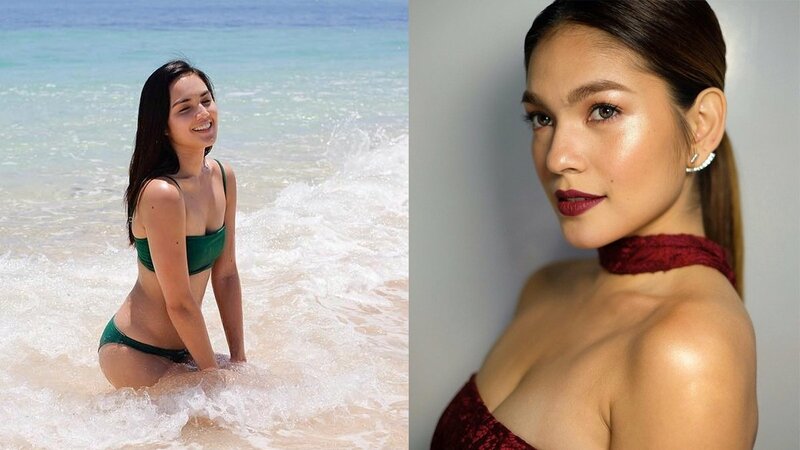 Kapuso singer Lindsay is Victor’s youngest sister on the show, Anne Magtanggol. She’s a kikay cosplayer who wears colorful wigs on a daily basis. Reese plays the role of Honeylyn De Mesa. Honeylyn and Reese are best of friends. She also has a secret crush on Victor.